The First XI enjoyed a productive couple of days with wins over Dundrum and Donaghadee on consecutive days. The first win came on Friday 21st, where the 1st XI comfortably chased down the Dundrum total of 152. At times, Dundrum threatened a larger total, but in the end some tight bowling restricted the visitors with Michael Glass being particularly effective taking 3 wickets for only 12 runs from his 6.3 overs. 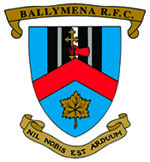 In response, Ballymena always looked comfortable, with James McClean, in particular, taking advantage of some loose balls to plunder his way to his highest score for the First XI of 88, including 7 sixes and 6 fours. Ably supported by John Glass, who finished 31 not out, the firsts ended up with an 8 wicket victory. The following day the First XI faced a Donaghadee side looking for their fourth away win in a row. In a rain-interrupted innings, Donaghadee never really got going and after the second rain break their innings fell away dramatically with only 20 runs coming from the bat of the last eight batsmen. The star of the show for the Ballymena bowlers was Sam Glass taking 4 wickets for only 10 runs from his 8 overs. All the Ballymena bowlers picked up wickets with Simon McDowell picking up 2-12 as Donaghadee were bowled all out for 93 in 32 overs. With the overs reduced to 35, Ballymena always looked in control of the target, despite losing the wickets of McClean and Gibson in quick succession in the 7th and 9th overs. Stephen Colgan (38) and John Glass (28no) helped steer the side home for a 7 wicket win. The result leaves the Firsts in 3rd place in the league, and hoping that Cregagh or Laurelvale slip up in the coming weeks if there is to be any prospect of promotion back to Section 1 this season. With games against both those teams still to come in the 7 remaining fixtures it is important that the team remains positive and seeks to secure maximum points from all their games for the remainder of the season. Elsewhere, the 2nd XI’s game against CSNI was abandoned due to persistent rain and the 3rd XI’s game against Armagh was called off as the visitors were unable to field a team.